Jase Bolger said he made some mistakes in plotting Roy Schmidt's party switch and recruitment of a patsy Democratic candidate to run against the newly-crowned-Republican. But he said he broke no laws - and after a year-long investigation - a grand-jury of one agreed. There will be no criminal charges in the election-rigging scandal that embarrassed state House Speaker Jase Bolger and cost another lawmaker his job. Judge Rosemarie Aqualina in Lansing says there’s no evidence any crimes were committed. This wraps up a year-long inquiry based on a complaint filed by Democratic leaders. The investigation focused on the leap by state Representative Roy Schmidt of Grand Rapids from the Democrats to the Republicans. Bolger encouraged and helped arrange the party switch, which added one more vote to his House Republican majority. This week, it’s another shenanigans edition of It’s Just Politics. Thanks to Jack Lessenberry for his explainer on the latest political mischief coming out of Detroit. It’s important to note this kind of political behavior is nothing new: Very crowded primary ballots with names that are very similar; recruited by opposing campaigns. Efforts to divide the vote can also take into account ethnicity, gender when one side recruits candidates with no hope of winning but, can maybe split the vote to sink another campaign come Election Day. No matter what you think of political games, they’re pretty normal. 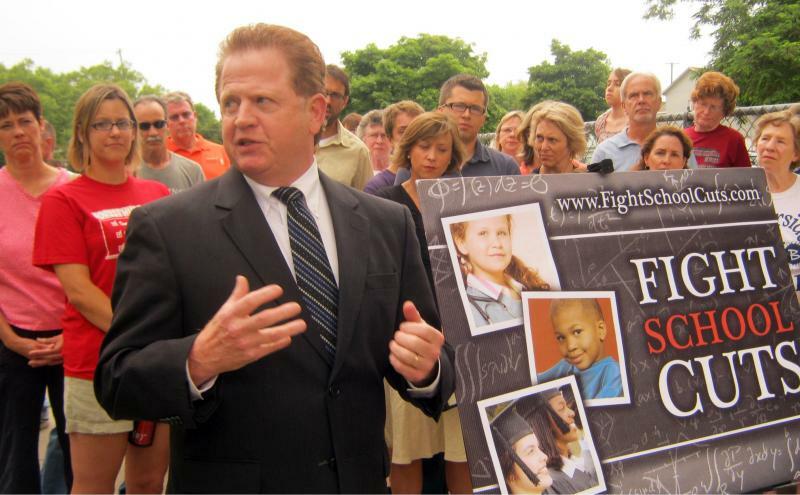 Mike Duggan, former hospital CEO, prosecutor and problem-solver for the late Wayne County Executive Ed McNamara launched his Detroit mayoral write-in campaign after he was booted from the ballot after one his opponents challenged him for filing his nomination petitions before he was a city resident for a full-year. But a lot of experts were giving his write-in effort a pretty good shot at getting him into the two-person runoff this coming fall. He’s topping the polls and appeared to have a good shot at winning a spot on the November runoff. It's Sunshine Week, an annual push for open government and the public’s right to know stuff. Democrats in the state House tied the introduction of a package of bills to Sunshine Week. 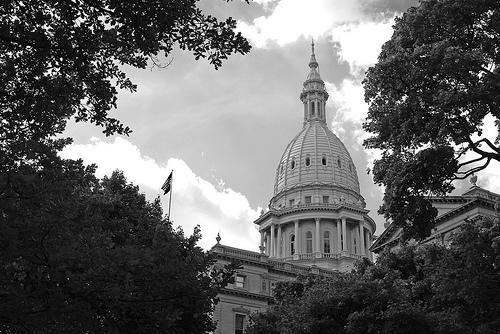 The bills include a number of changes to Michigan's laws and constitution regarding ethics, campaign finance, and elections. "Governor Rick Snyder has picked a Republican judge from Macomb County to fill a vacancy on the Michigan Supreme Court. 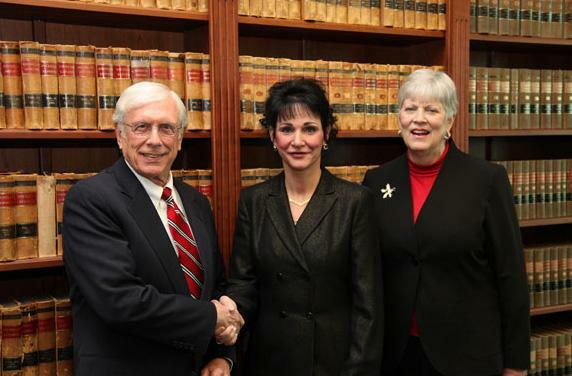 Judge David Viviano replaces Justice Diane Hathaway, who resigned in disgrace as she faced bank fraud charges," Rick Pluta reports. "A bill to set up a state website where people can shop for health insurance has passed its first hurdle in the state Legislature. A House panel Wednesday voted to accept more than $30 million from Washington to set up the health care exchange. It would be a partnership between the state and the federal government under the Affordable Care Act," Jake Neher reports. "Representative Roy Schmidt's switch to the GOP last May came under scrutiny when he offered money to a political novice to run as a Democrat against him. Democrats say Bolger possibly conspired to obstruct justice, though a Kent County prosecutor said no crimes were committed." House Speaker Jase Bolger (R-Marshall) eked out a narrow victory on Tuesday night winning over Democratic challenger Bill Farmer (D) by a mere 757 votes. Democrats picked up more seats in the State House, but Republicans hold onto their majority, so Bolger, in all likelihood, will continue on as Speaker (House members will hold a leadership vote this afternoon). The Grand Rapids lawmaker who caused a scandal by switching political parties earlier this year will not return to Lansing. State Representative Roy Schmidt was defeated by his Democratic Party challenger, and political newcomer, Winnie Brinks. “This wasn’t something I was planning, it was something people asked me to do (following Schmidt’s party switch). 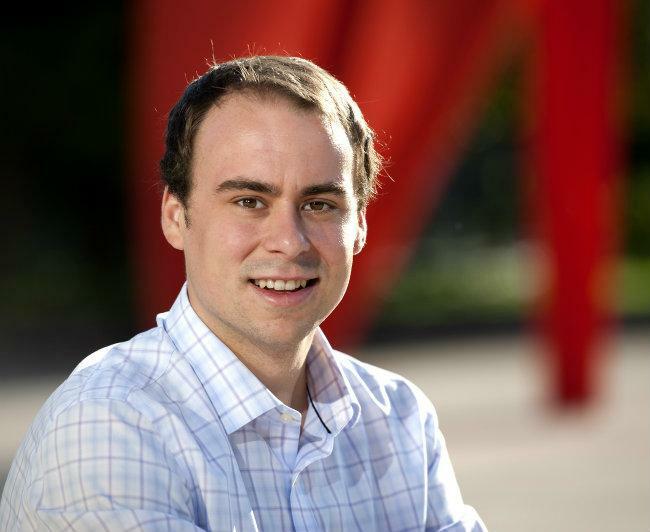 I’m really excited about this opportunity to serve and to apply the skills I’ve learned in the last twenty years working in schools and non-profits to helping people in a more systematic way,” Brinks said. One of the most unusual political races this election is playing out in Grand Rapids. It’s the story, the saga that is the race for the 76th State House seat. Back in May, there was a Democratic lawmaker who wanted to become a Republican. Switching political parties is not unheard of in Michigan, although it hasn’t happened since the 1990s. State election officials have dismissed all but one of several complaints filed against state House Speaker Jase Bolger and state Representative Roy Schmidt. The complaints of illegally using taxpayer resources were filed against the Republican lawmakers by Michigan Democratic Party Chair Mark Brewer. Bolger and Schmidt plotted Schmidt's switch to the Republican Party and tried to rig a re-election campaign by recruiting a fake Democrat to run. The race to become the next state representative for Grand Rapids’ 76th District is getting even weirder. It’s now a four-way race between Democrat-turned-Republican Roy Schmidt, political newcomer Winnie Brinks for the Democrats, independent candidate Keith Allard and now a write-in candidate Bing Goei. Goei made the announcement today. His write-in campaign to unseat Roy Schmidt in the Republican primary did surprisingly well. But Schmidt managed to hang on to the GOP nomination by a very slim margin. Now Goei says people are begging him to run in the November election anyway. 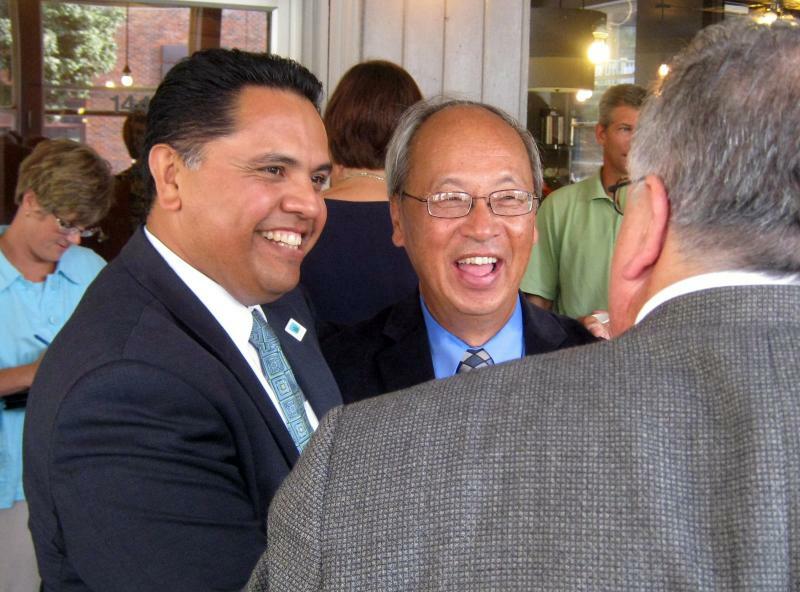 “When people call on me I have this crazy thing about responding to them,” Goei said. He admits his odds are not so good. “If I understand history correct, that if (insert laughs from Goei and his supporters) well, when I win that it will be the first write-in candidate who has won a state house of representative position,” Goei said. But pressed on this issue by a reporter Goei insisted his data shows his is a “very winnable campaign”. A political newcomer who’s challenging Democrat-turned-Republican State Representative Roy Schmidt says she’d work to get more funding for K-12 education. Democrat Winnie Brinks is a case worker at a non-profit organization. At a very sparsely attended press conference (I was the only reporter there) Tuesday she said she's first and foremost as a mother whose main concern is her children’s public education. Yesterday should have been a day of ultimate triumph for Michigan Republicans. Mitt Romney became the first native Detroiter in history to be nominated for President of the United States. His wife Ann, another native Michigander, gave a very moving nationally televised speech to the Republican National Convention, and celebration should have been the word of the day. Every Wednesday Christina Shockley talks to Michigan Radio's Political Analyst Jack Lessenberry about what is going on in state politics. This week they talk about the one-person jury that is investigating election rigging allegations involving State Representative Roy Schmidt and Speaker of the House Jase Bolger. They also discuss the ballot campaigns that are now going to court to try to get on the November ballot, and what Michigan delegates are doing at the Republican Nation Convention. Judge Rosemary Aqualina will be the one-person grand jury to look into whether state House Speaker Jase Bolger and state Representative Roy Schmidt broke any laws when they plotted to rig an election. Schmidt and Bolger plotted the Grand Rapids lawmaker’s switch to the Republican Party, and recruited a fake Democrat to appear on the ballot so Schmidt would avoid a reelection fight. The federal government has finalized new rules to require cars and trucks get an average 54.5 miles per gallon by the year 2025. That's almost double what the fuel efficiency standards are today. However, the target is higher than the real-world average in 2025. The average new car will get 45 miles per gallon, and the average truck will get 32 mpg. The state of Michigan is asking a federal judge to dismiss a lawsuit that challenges a ban on adoption by unmarried couples. The lawsuit is led by two Detroit-area lesbians who are raising three children. State law says that April DeBoer and Jayne Rowse can't adopt them as a couple, an option available only to heterosexual married couples. DeBoer and Rowse say their civil rights are being violated. Detroit federal Judge Bernard Friedman will hear arguments Wednesday. 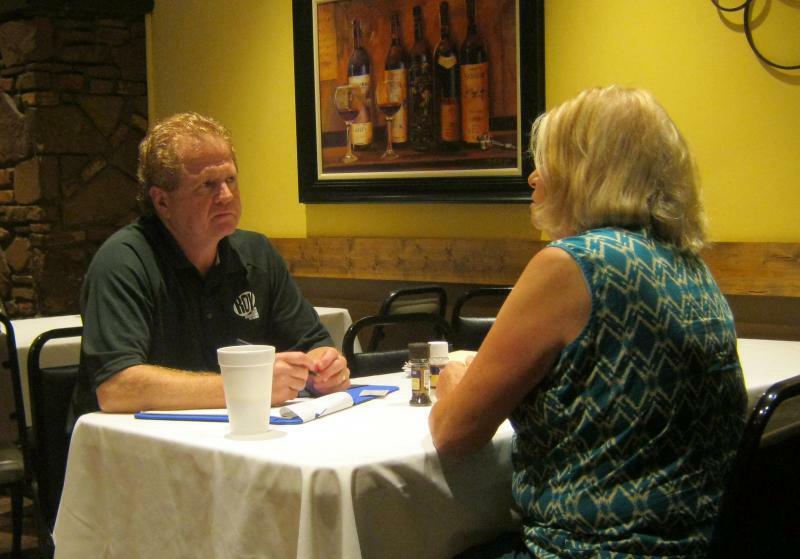 Thursday morning the public got their first chance to sit down one-on-one with Democrat-turned-Republican Roy Schmidt since he switched political parties in May. The State Representative from Grand Rapids has been dealing with the political fallout ever since. 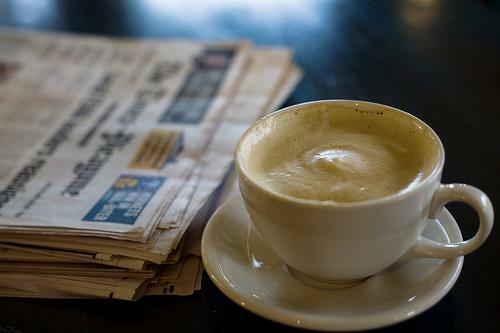 But at the coffee visit things seemed back to normal; assuming you ignore the massive media presence, which is not normal at these kinds of informal events. In Michigan, the Ingham County Circuit Court voted to empanel a one-judge grand jury to look into charges of illegal activities by State Representative Roy Schmidt (R-Grand Rapids) and House Speaker Jase Bolger (R-Marshall). The investigation will look into whether any laws were broken when Bolger and Schmidt coordinated Schmidt's switch to the Republican Party and made an effort to set up a patsy Democrat in Schmidt's district to run against him. Senate Minority leader Gretchen Whitmer and Michigan Democratic Party Chair Mark Brewer want a special investigation into the case of Democrat-turned-Republican State Representative Roy Schmidt. The Kent County Prosecutor says Schmidt and House Speaker Jase Bolger tried to “perpetrate a fraud” on voters. But he says they didn’t commit any crimes. You can read his full report that was released last month here. But Whitmer isn’t so sure. She believes there’s evidence to prove that Schmidt and others conspired to commit perjury and obstructed justice. “My biggest fear is that people just brush it off as, you know, one of those odious things that happens in the capitol and it’s just not the case. It is very serious,” Whitmer said. Republican Kent County Prosecutor Bill Forsyth said today he halted the investigation into Michigan House Speaker Jase Bolger (R-Monroe) and Rep. Roy Schmidt (R-Grand Rapids) because he wanted the information about Bolger and Schmidt's scheme to be made public prior to the election. If he continued with his investigation, the Detroit News reports, Forsyth said it could have continued beyond November. Michigan House Speaker Jase Bolger (R-Monroe) and Rep. Roy Schmidt (R-Grand Rapids) have both apologized for their role in setting up a "patsy" Democratic candidate to run against Schmidt. But there are calls for more than just an apology. Can Democrats win back the state House in November? We are now three days out from Tuesday’s Primary where there was a lot of attention paid to the state’s Republican Senate primary and various U.S. Congressional races. So, we thought it was time to give state lawmakers and their races a little love. In just about two thirds of these local races the primary pretty much determined who the winner will be in November. Because of the way the lines are drawn, most districts are decidedly Republican or Democratic. So, the primary settles the question three months before the general election. That leaves just about a third of the races left; races that are really fought between a Republican and a Democrat… where incumbency, the strength of the national and statewide tickets and fights over issues and policy matter. Can Democrats Win Back the State House? Control of the state House is in play this year. In 2010, largely on the strength of a surge nationwide for Republicans, the GOP took a commanding majority – 64 to 46 – in the state House. Out of 110 seats, Democrats need to turn at least 10 of them to win back control. That’s a lot. But we’ve seen dramatic swings in recent House elections. So, Democrats see it as tough, but do-able. In the Thumb, Democrats lost the Republican primary. That’s because incumbent Republican Kurt Damrow ran into some problems and he had become such a liability that his local Republican Party kicked him out. 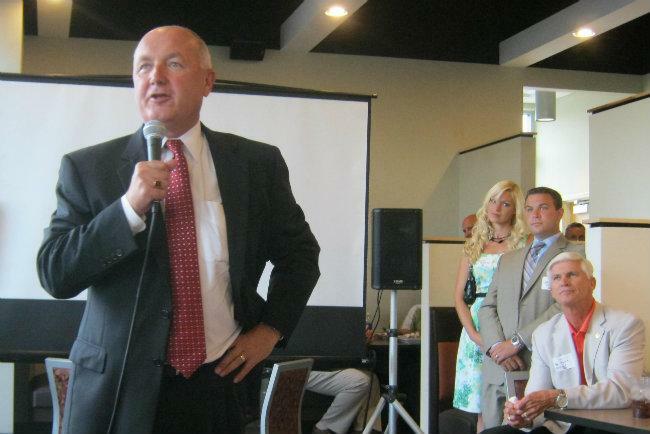 Former Democratic Representative Terry Brown won’t have as easy a time against Dan Grimshaw. In Grand Rapids, Democrats won the Republican primary when the badly damaged Roy Schmidt barely won re-nomination over a write-in opponent, but only on the strength of absentee ballots cast before the scandal over how he switched parties and tried to rig his own re-election by recruiting a fake Democrat broke into the news. 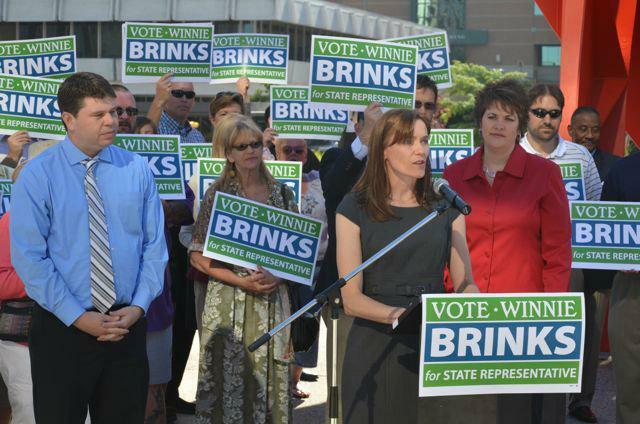 Political-newcomer Winnie Brinks is the Democrat on the ballot. And, Schmidt’s name is toxic. Candidates typically love high name identification, but not this kind. Now that the primary is over, Kent County Republicans are working to get more people to rally behind their nominees. Even Democrat-turned-Republican State Representative Roy Schmidt Schmidt was among the GOP nominees at a unity rally in Grand Rapids Wednesday night. He narrowly defeated a write-in candidate who decided to challenge Schmidt in the wake of a criminal investigation into Schmidt's party switch. No charges were brought in the case. However, the Secretary of State's office is still investigating allegations Schmidt violated campaign finance laws. Tuesday is Primary Day in Michigan and it’s probably fair to say that this could be called the summer of the write-in candidate. There’s an unusually high number of people trying to win various primary races across the state as write-in candidates. These are the candidates that for one reason or another didn’t file for the primary ballot but are hoping to still win by having voters write in their names on the August 7th ballot. In West Michigan, a Democrat on the Muskegon City Commission wants to make sure Republican U.S. Congressman Bill Huizenga doesn’t go unchallenged in November. In the 76th state House District in Grand Rapids, Winnie Brinks is running to be the Democrat to fill an empty spot on the November ballot to face the winner of that district’s Republican primary. State Representative Roy Schmidt is the only Republican on the primary ballot after jumping parties and trying –with the help of state House Speaker Jase Bolger – to engineer a shady arrangement to avoid a serious November election challenge. But that scandal has compelled another Republican – Bing Goei to launch a write-in challenge. A write-in candidate like Bing Goei has the challenge of getting voters to do something they’re not used to doing: Marking a box with a blank next to it and then filling in the name. And Goei has to get more Republicans to check that box and write his name than people who simply mark the ballot by Roy Schmidt’s name. Democrat Winnie Brinks does not have that problem. She just has to get enough people to write her in to qualify for the November election – five percent of whatever the top of the ticket gets. But that is a problem for Nancy Cassis, the former state Senator who is trying to notch a write-in victory in the 11th Congressional District Republican primary over tea party opponent Kerry Bentovolio, who is on the ballot. This is the district – of course – from which Thaddeus McCotter resigned. Cassis has talked about handing out wristbands with her name on them for people to wear into the polls. Ostensibly so that they know HOW to actually spell her name. But, there’s some question as to whether that would violate election laws on bringing campaign materials into a polling place. And, it seems, it wouldn’t be a primary without those good ole pre-Election Day shenanigans. You know how you get those annoying campaign calls – usually it seems right when you’re in the middle of dinner – Well, a call was sent out endorsing Republican Senate candidate Clark Durant. On the surface, it doesn’t seem like there’s anything too wrong with that; robo-calls are pretty normal in the current political environment. The problem however, with these calls was that they were made at midnight. It’s probably safe to assume that if you’re a voter and you’re getting a political call at midnight you’re probably not too happy. In fact, it might just leave you with a negative impression of the candidate. Durant’s campaign says these calls endorsing Durant’s campaign were not from their super PAC, so the thought is that maybe a different campaign or, possibly, Democrats were up to no good. In Ingham County there have been reports of anonymous push polls in a state House Democratic primary. Push-polls are phone calls where a voter is asked a question that isn’t really a question. Something like, “if you knew that candidate X kicked puppies, would that make you more likely or less likely to support him?” In this case, Democrat Walt Sorg says the push poll makes it sound like he wants to raise taxes to build electric car charging stations. 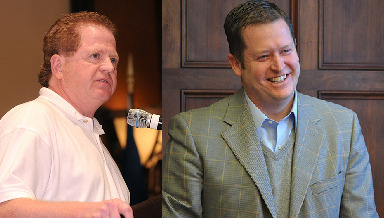 State House Speaker Jase Bolger and state Representative Roy Schmidt have a little less than three weeks to answer complaints they broke campaign finance laws. A complaint by the Kent County prosecutor filed with the Secretary of State names just Schmidt. One filed by Michigan Democratic Party Chair Mark Brewer names both of them. The two plotted to keep a serious Democratic challenger off the ballot after Schmidt jumped from the Democrats to the Republicans. House Republican spokesman Ari Adler says no laws were broken, but the speaker will back legislation to stop what they tried to do from happening in the future. The Secretary of State sent letters last week to Bolger and Schmidt informing them there is an official inquiry underway. Vice President Joe Biden has been out on the campaign trail. He rallied teachers in Detroit Sunday. That’s where the American Federation of Teachers is holding its annual convention. "Biden went after Mitt Romney and Republicans in Congress for budget plans that would slash federal education spending. He said Republicans have consistently opposed proposals to keep teachers and other public employees on the job through the economic downturn," Sarah Cwiek reports. Voters in three counties will soon decide the fate of a tax millage for the Detroit Institute of Arts. Museum officials say the DIA could shut down if a 10 year property tax doesn't pass. 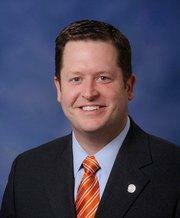 Voters in Wayne, Oakland and Macomb Counties will decide August 7th. The museum no longer receives state funding. But Critics say the DIA's campaign exaggerates the museum's financial struggles. The property tax would bring in roughly 230 million dollars over 10 years. Residents in counties that approve it will get free admission to the museum. There was a continued drip, drip, drip of new details to emerge in the state Representative Roy Schmidt ballot scandal. The latest: a new set of text messages obtained by The Detroit Free Press and MLive.com from the Kent County prosecutor’s office. One text is from Schmidt’s nephew to Matt Mozjak , the patsy who Schmidt recruited to appear on the ballot as a sham Democrat to ensure that he wouldn't have a real Democratic opponent once he made his jump to the Republican Party as a part of a scheme hatched with state House Speaker Jase Bolger. And it just keeps piling up on Schmidt. The first state House Republican – Representative Ken Yonker, also from the Grand Rapids area – has endorsed a write-in opponent in the Republican primary. Schmidt has gone from a trophy for the House Republicans to a white elephant. None of which, of course, is good news for House Speaker Jase Bolger, who continues to resist calls to step down as the top dog in the House. The pressure, however, has not reached anything close to critical mass. So, what does a politician do when he's been caught in a political scandal? Well, how about introducing some legislation? 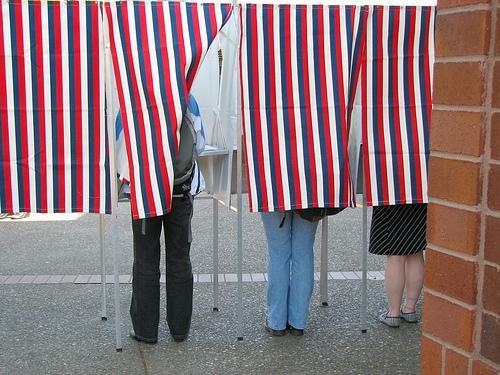 House Republicans have drafted new election reform bills. But Democrats are calling it hypocritical. “I find it fascinating that the speaker of the House is issuing press releases about election reforms because he’s the one who got caught," said Democratic state Representative Barb Byrum. Now, Democrats have their own elections package and they say they’re coming up with more. It appears the stage is set for a whole lot of election reform one-upsmanship in the state House. Bolger says only serious election reforms will be considered - he wants nothing that’s about scoring political points. But, Democrats say Republicans don’t have credibility on this issue. Democrats are pushing for the changes in the wake of a plot by State Representative Roy Schmidt and Speaker of the House Jase Bolger so Schmidt could switch parties and be re-elected as a Republican. Earlier this month the Kent County Prosecutor issued a report on his investigation. More people are lining up to oust Democrat-turned-Republican State Representative Roy Schmidt. Another candidate is kicking off his campaign Monday evening. A few months ago, Schmidt caused chaos when he switched political parties just minutes before the filing deadline for candidates to appear on the ballot. The move left Democrats without a candidate and many Kent County Republicans with a candidate they’re not very excited about. A Grand Rapids business owner will challenge a party-switching state representative in the Republican primary on August 7th. 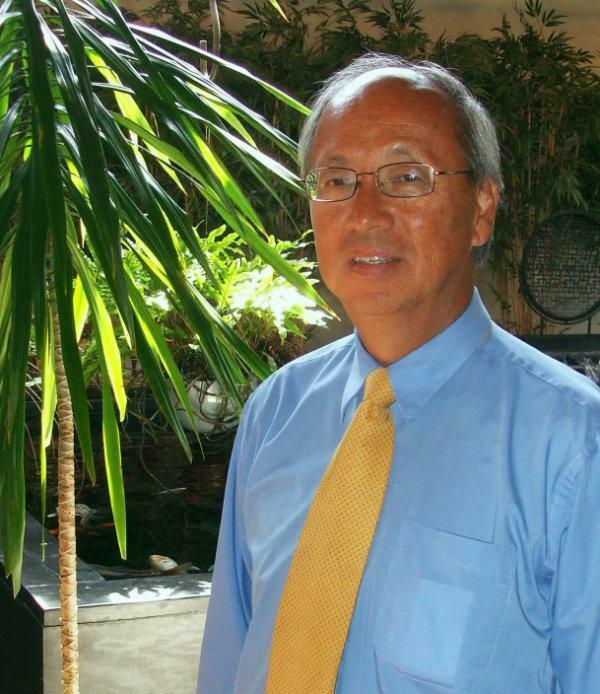 Bing Goei made the announcement at the headquarters of his floral business Friday morning. Yesterday, the story of the day was the shocking revelation that the Speaker of the Michigan House of Representatives, Jase Bolger, had conspired with a party-switching colleague to try and perpetrate election fraud. Roy Schmidt, the Democrat-turned-Republican from Grand Rapids, tried to use campaign funds to pay a part-time student to put his name on the ballot. Democrats are calling for a special inquiry into whether House Speaker Jase Bolger and state Representative Roy Schmidt are guilty of ethics violations. A report by the Kent County prosecutor determined the two did not break any laws as they plotted Schmidt’s switch to the Republican Party, but the report says they did attempt to undermine the integrity of an election. Their scheme included recruiting and paying a fake Democrat who would appear on the ballot against Schmidt. The idea was, the decoy would not campaign. 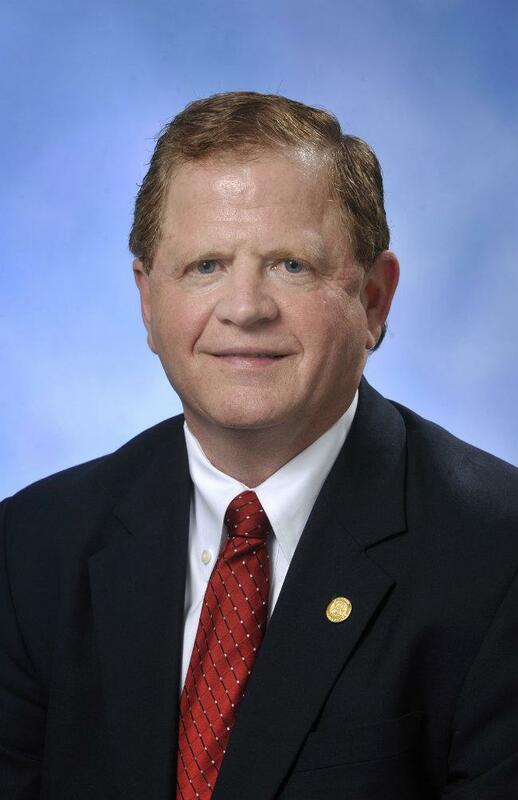 Jase Bolger, the Speaker of Michigan’s House of Representatives, secretly conspired with State Representative Roy Schmidt of Grand Rapids to perpetrate a fraud on the people. They did that by trying to rig an election. That’s the conclusion of Kent County Prosecutor William Forsyth, who released a stunning report yesterday. The prosecutor, like those two men, is a member of the Republican Party. Except that Forsyth indicated that as a Republican, he is embarrassed.